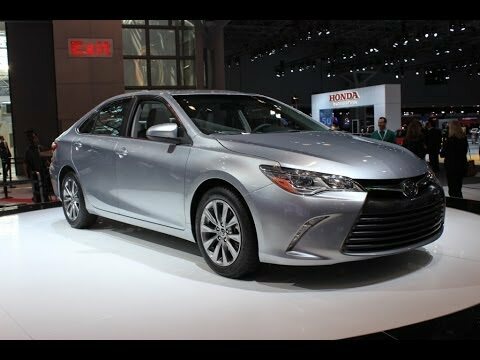 Toyota's Camry is a classic case of where improving something just a little can make a disporportionately large difference. 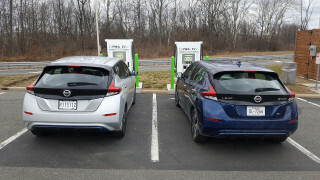 As America's best-selling passenger car, one with an available hybrid model, any improvements are big news. ALSO SEE: Where Do U.S. Electric Cars Save Money The Quickest? Launched at the 2014 New York Auto Show, Toyota says it has rebuilt the Camry from the ground up, though technically it's an updated version of the current car, rather than an all-new model. Despite that, visual changes and as many as 2,000 new parts have gone into improving the car, and only the roof panel remains unchanged as far as styling goes. It's still a Camry, of course. While changes have freshened the Camry's styling and brought it more in line with other recent Toyota product, you won't be buying it to decorate your driveway. You do get new color choices though, and integrated LED daytime running lights. LED high and low beams are optional on some models, too. Toyota promises a more "premium" feel from the Camry's interior, with better materials, improved amenities and a little more space for passengers. Storage boxes are larger, and you can even opt for a wireless charging facility for selected smartphones. A central touchscreen returns, but there's now a 4.2-inch TFT multi-function display in the instrument cluster too on SE, XLE and XSE models. Improvements to window and door seals have made the cabin quieter, while there's 30 percent more insulating material under foot to block out even more road roar. Wind noise has also been mitigated, with redesigned door mirrors. A slightly stiffer body structure allows better control of the tweaked suspension, steering and braking systems, so the Camry should drive better too. Like its Hyundai Sonata rival, the Camry's engine lineup is one of the few aspects that remains unchanged in the 2015 car. 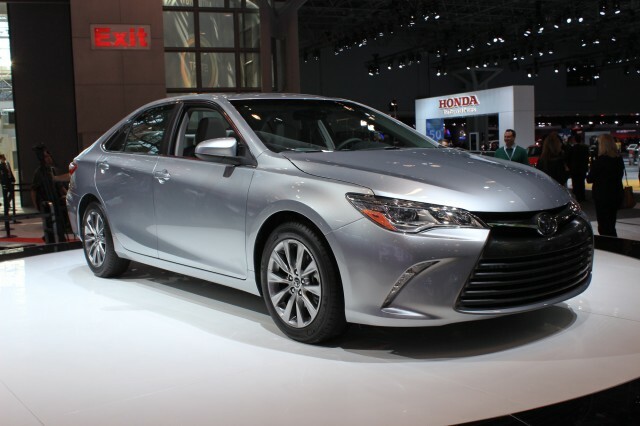 That means standard 2.5-liter four-cylinder and 3.5-liter six-cylinder units, as well as the popular Camry Hybrid. No official economy figures have been announced, but we'd expect a repeat of the 2014 car's 41 mpg combined (plus 43 mpg city, 39 mpg highway) rating. The 2015 car, assembled at Toyota's Kentucky plant, hits dealers this fall. 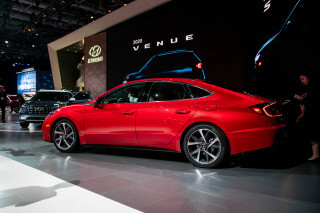 You can find out more from the New York Auto Show by visiting our dedicated hub page.